Quarterly, 1st & 4th Gules on a fess Or between three lozenges in chief and a lymphad oars in action and sails furled in base all Argent, a swallow volant of the field (for Abbey) 2nd & 3rd Paly Or and Gules a chief vair (for Belcher). 1.2.3. William Henry R Abbey b.1902 d.1937 unm. It would appear that the male line has died out. I think that would make Juliet (1.2.1.1) & Gloria (1.2.1.2) the heraldic heiresses. If Juliet’s husband was armigerous (under English rules) her father’s Arms would be quartered by her daughter Miranda (1.2.1.1.1). 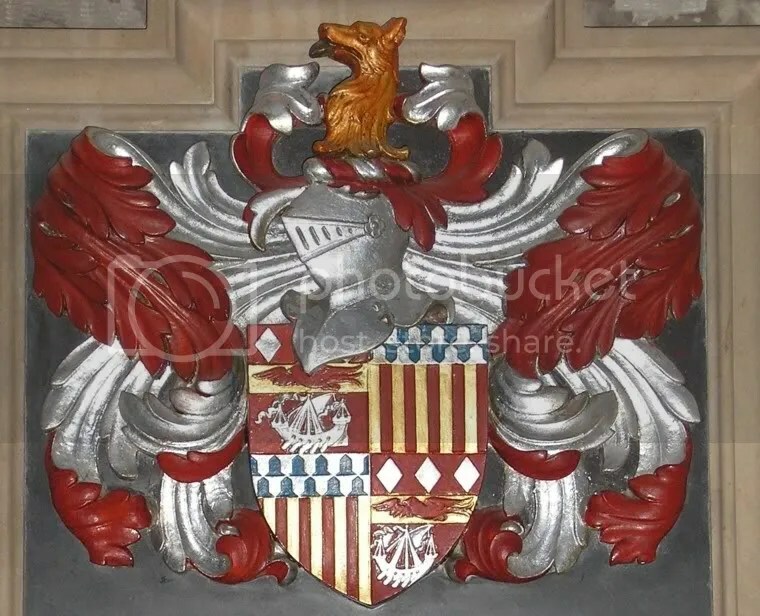 Miranda, as an only child, could then probably then pass on the quartered Arms to her children with the Earl of Pembroke (she is his second wife and he has a son by the first marriage). However, if John Oram was not armigerous I’m not sure whether the quartering grinds to a total halt or is held in abeyance until there is an armigerous spouse.